From the stunning drama of the Pitons to the captivating charm of Les Saintes. From hidden coves and secret beaches to exotic markets and lively cafés. Discover the best of this region with one single Caribbean cruise. Sandy beaches, turquoise waters, lush mountains, and beautiful waterfalls blend with the music, tastes, and joie de vivre unique to the Caribbean life. Trade your down-filled comforter for a bright beach towel during this weeklong cruise up the Windward and Leeward Islands from Bridgetown, Barbados to San Juan, Puerto Rico. Whether you’re eager for new adventures or simply want a relaxing beach and a rum punch, this journey melts winter doldrums. Ride an electric tram deep into underground chambers near Bridgetown and discover waterfalls, bubbling streams, towering stalagmites and daunting stalactites. Observe endangered Hawksbill sea turtles as they are rehabilitated at the Old Hegg Turtle Sanctuary in Bequia. Sample sweet green figs or fried plantains in a St. Lucia open market, or savor pork hocks among the small cafés in the port capital of Castries. Paddle a glass-bottom, two-person kayak through the turquoise shallows surrounding the remote archipelago of Les Saintes in Guadeloupe. Discover the convenience and visual clarity of Snuba snorkeling among vibrant gobies, squirrelfishes and surgeonfishes off South Friars Beach in Basseterre. Shop for unique handcrafted rings, bracelets and necklaces, summer-ready beachwear, or simply sip an iced coffee in Gustavia on St. Barts. Before your week wraps up, you’ll land at Virgin Gorda, where you can relax at nearby bays and beaches, or elevate your heartrate with an invigorating hike up to the scenic summit of Virgin Gorda Peak. At the end of your week you’ll land at San Juan, the capital of Puerto Rico. 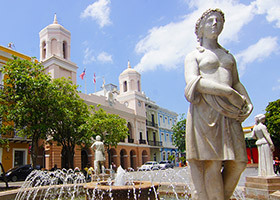 Shop Old San Juan, explore the elegant and historic La Fortaleza governor’s house or take in the local artistic works and historic artifacts at several museums. This is the Caribbean of days gone by – deep blue waters, quiet coves and tropical islands dotted with powdery beaches and lush green hillsides. Sail from the rugged natural beauty of St. Lucia to little-known isles that are off the tourist radar. From colorful Bequia and Mayreau in St. Vincent & the Grenadines to the open-air markets of exotic St. George’s, you’ll discover a part of the Caribbean that remains authentic and unspoiled. This is everything that makes the Caribbean synonymous with paradise. Begin and end your journey where Old World meets New, in historic San Juan, littered with more than 400 restored Spanish colonial buildings. 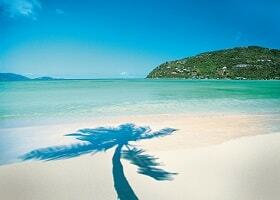 As you continue on this bewitching Caribbean cruise through the Virgin Islands, no two days are alike. One day, you’re shopping chic French boutiques for the latest fashions from Paris. On another, snorkeling a secluded cove known only to lucky yachtsmen – like you. Skip more common and commercial ports in favor of less-visited destinations like Montserrat. Bypass the major cruise terminals in favor of exclusive marinas and anchorages on this Caribbean cruise. And as guests on larger cruise ships take an excursion from Tortola to reach tiny Jost Van Dyke, your elegant ship is already there. Uncurl your frozen toes as you escape the winter doldrums during this week-long cruise featuring sundrenched beaches and steamy tropical rainforests along the Lesser Antilles Islands in the Caribbean. Set sail from the colorful Colonial Era homes and shops in San Juan, Puerto Rico, then roam like the untethered horses across the tiny island of Vieques, wandering barefoot on beige sandy beaches, or delving deep into the shady, tropical recesses of the Vieques National Wildlife Refuge. Gleaming white sands, sparkling turquoise waters and Philipsburg’s vibrant pastel buildings offer respite from the starker winter hues up north this time of year, but if you’re seeking culinary adventures, the delicious saltfish fritters, meat-filled pastries and potent and refreshing fruity Le Planteur punch will certainly compete for your attention. 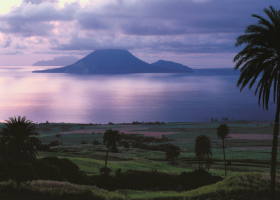 Learn about the future plans for Montserrat’s newly-developed capital in Little Bay, or visit the ghostly past among the dusty ruins of the Buried City, where former homes remain entombed in volcanic ash. Glide among geothermal bubbles and schools of flitting angelfish, blue tang, yellow goatfish, and blue-striped grunts just off the sloping shores of Roseau’s Champagne Beach. Soar into the treetops in an open-air gondola ride, taking in Pigeon Island’s rare avian and arboreal wonders high above a rainforest reserve. Master SCUBA diving in the company of expert divers or venture inland and sample delicious organic gourmet chocolate at a cocoa processing facility near St. George's in Grenada. Your adventure concludes in Bridgetown, Barbados, where you can reflect upon memories and deeper thoughts in the quiet shadows of the Gothic-inspired, St. John’s Church, or find the perfect surf conditions during a drive up the scenic Gold Coast. Let us take you into hidden coves and tiny harbors no one else can reach as you fully experience the Caribbean’s private yachting scene. Explore the quaint island charm of Soper’s Hole and the inviting beaches of Jost Van Dyke as you overnight in the harbor. Sail to Virgin Gorda, with its assembly of house-sized rocks called "The Baths." Savor the high life on St. Barts. 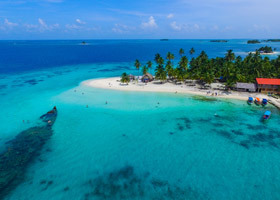 This 11-day, southbound journey crosses 23 degrees of latitude to tropical islands where the average temperature difference between winter and summer can be less than 10 Fahrenheit degrees. Not long after Manhattan’s glowing skyline slips beyond the horizon, you turn south for Philadelphia, a city full of rich history. The elegant antebellum charm of Charleston greets you on your way to warmer breezes as you approach Bimini’s blue waters, a favorite fishing haunt and drinking destination for writer Ernest Hemingway. 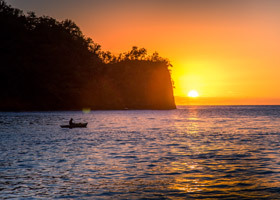 Swim along a quiet beach near Samana in the Dominican Republic, or search for rare birds and animals along the mangroves in Los Haitises National Park. Your final destination is just a day away among San Juan’s vibrantly painted buildings and the brooding, weathered walls of Castillo San Felipe del Morro. Nearby you’ll find sandy beaches and lively cantinas to help you completely forget about the encroaching winter months ahead. History buffs, beach bums and xenophiles will all find something to celebrate on this unique itinerary to Central America and the Caribbean. 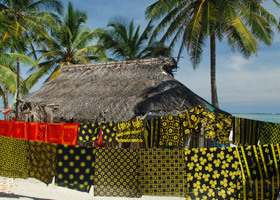 Discover the barely inhabited tropical islands and friendly Guna Yala villagers of the San Blas Islands. Step back in time to the days of the Spanish Empire as you visit four of the oldest cities in the Americas. Explore forts pockmarked by time and cannon balls. Encounter pirate lore as you dive the wreck of Captain Kidd’s ship off Island Catalina. And relive it all over mofongo and rum in Old San Juan. Revel in seven days of surf, sand and sunsets during this leisurely cruise up and down the Caribbean’s Windward Islands. It’s a perfect vacation getaway for anyone craving a quick escape from life’s everyday obligations. Swim among sea turtles and glide above dazzling coral reefs with a highly skilled diving guide off the coast of Les Saintes’ volcanic shoreline. Stroll the weather-beaten parapets of the citadel of El Morro near San Juan, Puerto Rico and run your fingers along the stone scars left by Dutch invasions and American bombardments. Then clip into a zip line and hang on as moss-covered limbs and colorful wild birds rush by your head as you glide through St. Lucia’s rainforest canopy. Vacation time is always well spent among the Windward Islands, but nothing makes it more perfect than the personalized attention and unique excursion opportunities offered by Windstar. Pastel Dutch colonial towns, long-legged pink flamingos, turquoise grottoes… everywhere you turn the colors of the Caribbean catch your eye. Watch cliff divers leap into sapphire waters from St. Bart’s pink seashell beach, Anse de Grands Galets. Snorkel with blue tangs, iridescent parrotfish and butterfly fish over the reefs of Bonaire. Ride a horse and carriage past bougainvillea-covered balconies in Cartagena. Each new port is a fresh canvas for your memories. Bougainvillea-covered balconies, jungles teeming with wildlife, one of the most brazen engineering feats in human history… there’s more treasure here than the Spanish ever dreamed of. Step back in time to Spain’s colonial heyday in Cartagena and Santa Marta, where museums glitter with pre-Colombian gold and jewelers display fresh-from-the-mine emeralds. Join the birds in the rainforest canopy and caimans in thick mangroves. Relive history as you transit part of the Panama Canal, enormous locks gaping above you and Lake Gatun spread out below. Dine alfresco beneath a colony of stars and toast the perfect antidote to winter. 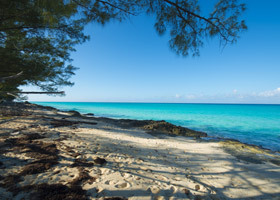 Leave from upscale Miami to Bimini’s sunny beaches and Key West’s easygoing nightlife. Trace Ponce de Leon’s search for the Fountain of Youth during a trip to the natural spring waters of a Bimini healing hole. Tread lightly among colorful and delicate butterflies inside the Key West Butterfly Conservatory or dip a paddle near tangled mangrove roots on a guided kayak tour. Lift a chilled amber ale or sip a frosty piña colada as sunset bathes Mallory Square in soft pastel hues during an overnight stay in Key West. You’ll find time for final spa appointments before your cruise concludes in Miami, where spicy shredded meat dishes await in Little Havana, while whispering palms and rumbling surf beckon along the scenic Miami Beach Boardwalk. 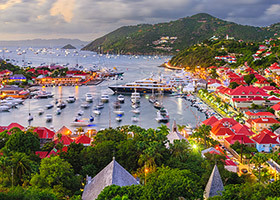 Enjoy the perfect mix of must-see Caribbean towns and harbors off the beaten path as you cruise and sail the royal beauties of the Lesser Antilles islands. Explore colonial history in pastel waterfronts, weathered forts and former sugar plantations. 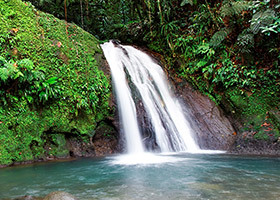 See the Caribbean at its most wild and beautiful on Dominica, St. Lucia and St. Kitts. Join the jetsetters on St. Barts, and make a rare visit to Montserrat, the “Pompeii of the Caribbean.” And everywhere you go, find delicious white beaches that turn rose and orange under Caribbean sunsets. Take the full measure of the Americas as you explore North America’s vibrant West Coast, Central America’s man-made and natural wonders, and South America’s colonial and pre-Colombian legacy. Dine and sip your way down the U.S. West Coast, treating your palate to fine wines, flavorful microbrews and tastebud-thrilling Baja Med cuisine. Discover amazing nature sanctuaries from Jacques Cousteau’s favorite Sea of Cortez to Costa Rica’s wildlife-rich jungles. Cross the Panama Canal as only a small ship can, with the great gates looming up above. 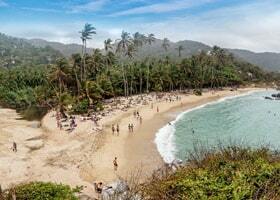 And investigate everything from Mayan ruins to colonial capitals, breathtaking beaches to remote Indian villages. Begin your Caribbean quest in Barbados with the magic of Harrison’s Cave before heading to Bequia to hike up Mount Pleasant for amazing views. Cruise past the Pitons of St. Lucia and visit Castries Market. Guadeloupe is an idyllic Caribbean island with sparkling blue yacht-filled harbors and underwater treasures attracting the likes of Jacques Cousteau. In St. Kitts, visit Brimstone Hill Fortress National Park. Stroll past gingerbread cottages in search of celebrities and explore “The Baths” of Virgin Gorda, huge boulders that form underground pools and caverns. Cruise to Puerto Rico to take in El Morro in Old San Juan, visit the Dominican’s protected natural park of Isla Catalina, and see Santo Domingo, one of the oldest cities in the Caribbean. Spend a relaxing day at sea en route to Santa Marta, the romantic Colombian city that’s home to Simon Bolivar. In Cartagena, enjoy a late night departure to fully explore the 400-year-old walls that once repelled pirates and now exclude cars. Prepare for a finale in Colón, where you can discover the inner workings of the Panama Canal. Combine a classic Atlantic Ocean crossing with unforgettable visits to Caribbean small ports, Lisbon’s Gothic landmarks and the gateway to the Panama Canal during this far-ranging, 25-day cruise between Central America and Portugal. Gaze out from the crenelated battlements of Lisbon’s Belém Tower, a Tagus River fortification that greeted returning Portuguese seafarers for centuries. Curl up with a favorite book while planning a week’s worth of massages and indulgent spa treatments during your Atlantic crossing. Swim, snorkel or SCUBA among vibrant aquatic wildlife at the Bonaire National Marine Park. Taste the shredded beef, cumin-infused richness of Colón’s Ropa Vieja, a unique and popular breakfast and dinner meal throughout this busy Panama Canal seaport. Begin in Barbados with a visit to the fairyland magic of Harrison’s Cave before setting sail for the French-Caribbean splendor of Martinique, where Empress Josephine spent her childhood. In St. Lucia enjoy shopping in the bustling capital of Castries, scenic Morne Fortune, and an overnight on Pigeon Island with plenty of beach time and a chance to visit the majestic volcanic Pitons. Follow your nose through the aromatic open-air markets of beautiful St. George’s on the “Isle of Spice.” Enjoy the exclusive Signature Beach Party on Mayreau and walk up Mount Pleasant to witness the amazing view from Fort Hamilton on Bequia. 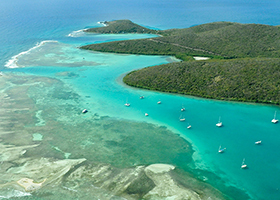 Swim with sea turtles in Tobago Cays Marine Park and listen for the conch beckoning fishing boats home. 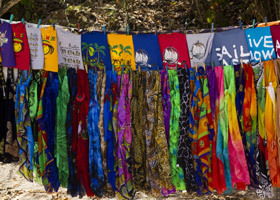 In Soufriere, feel the heart and soul of St. Lucia when you stroll by street vendors and hike to secluded waterfalls. Bonaire begs you to bring binoculars for bird watching — from flamingos to native parakeets to Amazon parrots. 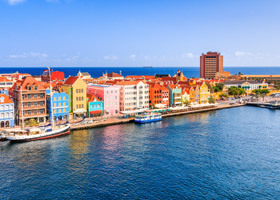 Savor the pastel colors of Old Town Willemstad and explore the limestone formations and ancient petroglyphs of Hato Caves. Complete your voyage in Aruba where you can relax and take in some of the Caribbean’s best beaches or play dominoes with locals. Begin in Colón by exploring the engineering wonder of the Panama Canal. In Bocas del Toro, soak up the laidback atmosphere and colorful clapboard houses before heading to Isla San Andres to swim with puffer fish and sea turtles at the UNESCO Biosphere Reserve. Snorkel and kayak with dolphins in the ocean playground of Roatan, and sample baleadas and pastilles with delicious Honduran coffee. Visit the howler monkey sanctuary in Belize City and explore the ancient Mayan ruins of Chacchoben on Costa Maya. Discover Cozumel’s Chankanaab, an eco-park with underwater caverns home to dolphins, manatees, and sea turtles. Wander the Mayan Temple of El Meco on Isla Mujeres and experience Grand Cayman’s energetic art scene, with over 250 practicing artists. Explore Cayman Brac’s island-long bluff with caves, secluded beaches, and lush forests, and reach for the incredible Reach Falls from Port Antonio, Jamaica. Visit the Caribbean’s oldest city and largest botanical garden in Santo Domingo and discover white-sand beaches ringed by coral reefs on Isla Catalina. In Virgin Gorda, swim in the underground pools known as “The Baths,” and complete your journey with Dutch treats and French delicacies in the “Cuisine Capital of the Caribbean,” St. Maarten. Days of bliss crossing the Atlantic are followed by the carefree spirit of the Caribbean. You can look forward to doing what you want when you want all under the care of your ship’s attentive crew. Order room service for breakfast in bed or find a quiet corner to curl up with your book and drift to sleep with the rocking of the ship. Arrive in St. John’s refreshed and energized to introduce yourself to each unique port of call. 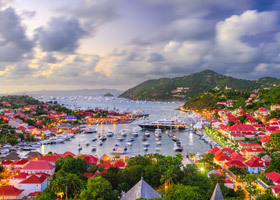 You’ll want to keep a journal to savor your memories of pristine beaches, sparkling clear waters, friendly people and charming towns like Gustavia and Les Saintes enough to beckon you back another time. Skip the usual Caribbean cruise stops and discover the small harbors, overlooked havens and most remote secrets among the Leeward Islands. Whether you’re looking for hidden shops, sampling new cuisine or seeking a local place to sip rum cocktails over the melodic beat of steel drums, this highly personalized adventure is an intimate opportunity to familiarize yourself with the lesser-known charms of Les Saintes, Anse Mitan, Pigeon Island and much more. Combine Caribbean cocktails, steel drum rhythms, and white sandy beaches with Portuguese port wines, fado folk songs and lofty Baroque architecture during this 21-day transatlantic cruise from Puerto Rico to Portugal. Begin with an unforgettable circuit of Caribbean destinations, including Les Saintes, Bequia, and St. Georges, before embarking from San Juan, Puerto Rico and crossing the Atlantic to the Azores and Portugal. Shop among stylish boutiques in Philipsburg, St. Maarten. Dive or snorkel among turtles and vibrant tropical fish off Bequia’s tropical coastlines. You’ll circle back to Old San Juan before relaxing spa days, delicious meals and shared moments throughout a transatlantic crossing to the Azores. Explore Horta’s Old World architecture or Capelinhos’ volcanic slopes. This memorable crossing concludes in Lisbon, the Portuguese capital, where you can dine on Caldeirada, grilled sardines, stuffed crab, and other amazing seafood meals accompanied by the strumming and singing of talented fado performers. Bird calls intermingle with primate chatter throughout the dense canopy of a Costa Rican cloudforest. Towering container ships glide past the Culbra Cut’s tiered rock slopes, formerly the most difficult stretch of the Panama Canal. Sweet rum cocktails provide cool respite on a hot white beach in Santo Domingo. Indulge in the sights, sounds and sensations of Central America and the best stops throughout the Windward and Leeward Islands of the Caribbean during this 3-week cruise through pristine rainforest preserves, relaxing beaches and one-of-a-kind tropical bars, rustic cafés and trendy boutiques. Combine Central America’s majestic natural scenery with Caribbean small-port charms during this 2-week cruise through Costa Rica, Panama, Colombia, the Dominican Republic and Puerto Rico. Learn the ecological importance of cloudforests from an engaging naturalist as you search leafy rainforest canopies for sleepy sloths, rare birds and skittering primates. Dive, swim and hike among the refreshing tropical splendors of Windstar’s Signature Beach Party on Panama’s Isla Parida archipelago. Discover the engineering challenges and triumphs during a narrated daylight transit of the Panama Canal. Sink your teeth in doughy, cheese-stuffed Arepas paired with rich, fresh-roasted artisan coffees at a Colombian café. Wander the length of El Morro’s fortress walls in San Juan, Puerto Rico, a former sanctuary for New World seafarers and daring smugglers aligned with the Spanish Empire. Indulge your passion for nature as you seek out unique wildlife among the more than 170 bird species in the Vieques National Wildlife Refuge, or glide high into the trees in an open-air gondola above a Pigeon Island rainforest reserve on St. Lucia. Take SCUBA lessons in St. George’s, then swim with sea turtles and schools of gleaming fish, or snorkel through a myriad of ascending geothermal bubbles off Champagne Beach in Dominica. Browse one-of-a-kind handmade jewelry, local artwork and unique island apparel in the brightly-painted shops of Old San Juan, Puerto Rico. Take in trendy boutiques and find that perfect silk top or summer dress in Gustavia, St. Barts. Sip tangy, rum-infused fruit cocktails among the effervescent nightlife of countless cantinas or find your own secluded corner of a quiet beach for extended moments of reflection. No matter how you decide to explore, every moment of this memorable Antilles adventure is time well spent. Dive right into adventure in the underwater caverns of Cozumel’s Chankanaab eco-park — home to dolphins, manatees, and sea turtles. Then set sail for Isla Mujeres to wander the Mayan Temple of El Meco and Hacienda Mundaca ruins. On Grand Cayman, experience Stingray City, where you can feed and touch these mystical creatures. Explore Cayman Brac’s island-long bluff with caves, secluded beaches, and lush forests, and visit the marine life of Reach Falls from Port Antonio, Jamaica. Stroll the Caribbean’s oldest city and largest botanical garden in Santo Domingo, and discover white-sand beaches ringed by coral reefs on Isla Catalina. In Virgin Gorda, swim in the underground “Baths,” and sample Dutch and French culture in St. Maarten. Barbuda brings its signature pink sand while Roseau offers snorkeling in the bubbly waters of Champagne Beach. On Pigeon Island take in the Pitons volcanic peaks and discover the distinctive French charm of Les Saintes with an underwater world that’s attracted the likes of Jacques Cousteau. 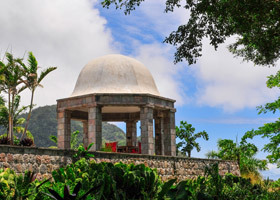 Visit Brimstone Hill Fortress National Park in lovely Basseterre and the chic island of St. Barts (look for celebrities). 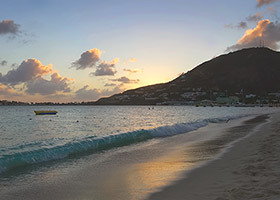 Return to St. Maarten, the Cuisine Capital of the Caribbean, for one last treat before you say au revoir. Start your adventure off with a bang in the bustling boroughs of New York City. 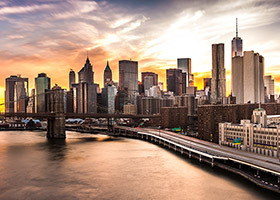 Savor the urban culture of a favorite neighborhood or visit the must-see sights of Central Park, The Empire State Building, Times Square and The Statue of Liberty. 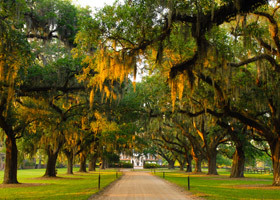 Overnight in Philadelphia to visit the Liberty Bell and the Declaration of Independence while overnighting in Charleston allows time for the French Quarter, the Magnolia Plantation and Rainbow Row. Then it’s off to the Caribbean to delight in Bimini’s beaches and underwater beauty and Samana’s untamed Los Haitises National Park, home to two endemic mammal species. Puerto Rico offers a chance to see Old San Juan’s El Morro fortress and Vieques’ 20+ beaches, wild horses and exotic trees. 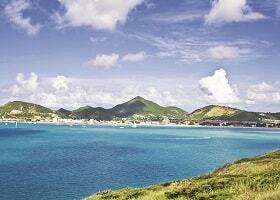 Discover two cultures (Dutch & French) in Philipsburg, St. Maarten/St. Martin. In Montserrat’s Little Bay, witness the “Pompeii of the Caribbean,” a town literally swallowed by a volcano. Dive into Roseau’s bubbly waters of Champagne Beach and Morne Trios Pitons National Park. Take in St. Lucia’s majestic volcanoes, and gorgeous St. George’s 40 beaches on the “Isle of Spice.” Finish your memorable adventure on Barbados in the mystical Harrison’s Cave. The sugary, cinnamon sweetness of a doughy beavertail pastry overwhelms your taste buds as you stroll along the cobblestones throughout Old Montreal’s Parisian-themed shops, cafes and brasseries. Relax on a scenic horse-drawn carriage ride or savor buttery-rich lobster among Bar Harbor’s brightly painted boutiques and galleries. Amble along New York’s Central Park serpentine paths, or take in the skyline from a departing Staten Island Ferry bound for the Statue of Liberty. Sample regional wines from Long Island, Finger Lakes, and Hudson River Valley in a Manhattan wine shop. Brush the gray armor plating of USS Wisconsin’s imposing 16-inch guns on Virginia’s Elizabeth River, or admire more than 450 fragrant rose flowers at the Norfolk Botanical Garden. Then relax and break out your shorts and light cotton shirts for the sea days leading up to the warm beaches and mangrove mysteries in Bimini and Samaná. Your journey culminates in San Juan’s Old City, within walking distance of El Morro’s scarred fortress walls. Wander the storied streets where traders plied their wares or made idle chatter about the tobacco trade and worrisome pirates. Order a potent rum drink at a raucous neighborhood pub or request a fruit cocktail from a quiet, sundrenched table overlooking the harbor. It’s a perfect way to cap the unforgettable experiences on this extensive Atlantic Seaboard odyssey. Explore the depth and breadth of the Caribbean on this 56-day odyssey, from tiny yachtsmen’s favorites to glitzy celebrity getaways, historic colonial towns to the incredible Panama Canal. Go cave tubing in Belize and windsurfing off Bonaire. Snorkel with friendly sea turtles and rays in waters as clear as glass. Climb the battlements of colonial forts and the arrowhead peak of Gros Piton in St. Lucia. It’s the ultimate cruise, circling the Caribbean discovering the brilliant colors, textures and fascinating history found here. 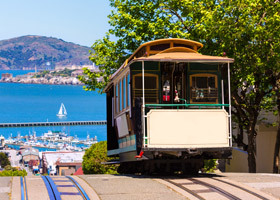 Indulge in delicious meals, breathtaking scenery and unforgettable excursions during this epic 65-day cruise that explores Alaska, British Columbia, Washington, Oregon, California, Mexico, Costa Rica, Panama, Colombia, and many memorable Caribbean ports. From calving Alaska glaciers to steamy Colombian jungles, this grand journey covers more than 60 degrees of latitude, but Windstar touches like the Watersports Platform and daily complimentary laundry service keep you relaxed and ready for adventures. Explore Mayan ruins, taste California wines, transit the Panama Canal transit, sport fish in the Sea of Cortez, soar into Costa Rica’s lush rainforest, shop Mexico’s open markets and relax on white Caribbean beaches during this unique journey. 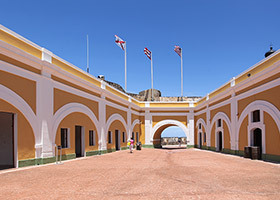 Start your expedition in historic Old San Juan with the imposing façade of El Morro fortress. In the Dominican Republic, enjoy Isla Catalina’s gleaming white-sand beaches ringed by coral reefs and Santo Domingo, one of the oldest cities in the Caribbean. 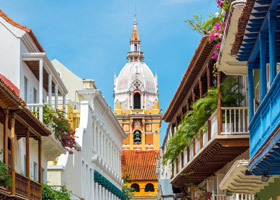 Revel in the romantic Colombian city of Santa Marta and enjoy a late night in Cartagena with extra time to explore the historic UNESCO site of La Capital and wander the brightly colored streets. Behold the engineering feats of the Panama Canal. From Colón to Puerto Caldera, attend onboard presentations from local naturalists to make your trip even more meaningful. In Panama’s Pearl Islands and Isla Parida, discover beautiful beaches, amazing flora, fauna and some of the world’s best big game fishing. Known for its biodiversity, Costa Rica brings a chance to explore the lush coastline of Golfo Dulce, get an adrenaline rush ziplining or horseback riding in Bahia Drake, search for monkeys, sloths and toucans in Quepos’ Manuel Antonio National Park, fish or surf Jaco Beach near Bahia Herradura, and take an excursion to Monteverde Cloudforest or Tortuguero National Park from Puerto Caldera. Whether you’re passionate about swimming among rarely seen undersea wildlife or the intricate cultures and intertwined European histories of the Windward Islands, this 2-week cruise offers the best combinations of charm, island heritage and natural beauty. Shop unique designer apparel in St. Barts, where you’ll discover a fashionable confluence of high-end brands normally associated with places like Madison Avenue, but displayed in an ambiance that’s anything but intimidating. Stare in wonder at the glow from miniscule bioluminescent organisms stirred by your kayak paddle during a tour of the Fajardo Bio Bay nature reserve near San Juan. Master the art of cooking with distinct spices like nutmeg, cloves, and allspice in authentic Caribbean cuisine while taking direction from a highly-skilled native chef in Philipsburg. 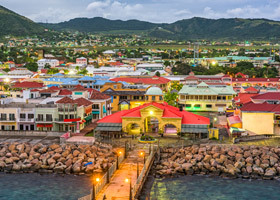 This Caribbean getaway is the perfect duration for lovers of island life and those who want to spend more time exploring the Windward Islands overlooked by other cruise lines. 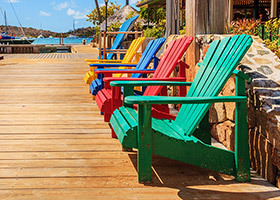 Start off with a splash in Aruba at some of the Caribbean’s best beaches. 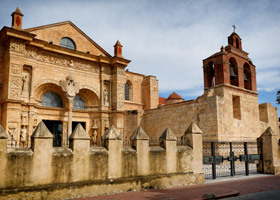 Then it’s off to Colombia for romantic Santa Marta’s museums full of pre-Colombian gold and Cartagena’s 400-year-old walls with stories to tell. 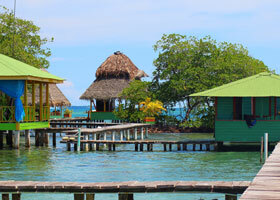 Relax at sea en route to Bocas del Toro and soak up the laidback atmosphere full of colorful clapboard houses. Hop over to Costa Rica’s Puerto Moin to sample cashews and access amazing national parks before a partial transit of the Panama Canal on beautiful Gatun Lake. Once in Colón, head to the jungle to meet Embera Indians or take an aerial tram ride through the rainforest canopy. On Isla San Andres, swim with puffer fish and sea turtles at the UNESCO Biosphere Reserve. Enjoy a day at sea before snorkeling, kayaking or swimming with dolphins in the ocean playground of Roatan and don’t forget to sample baleadas and pastilles with delicious Honduran coffee. In Belize City, visit the howler monkey sanctuary then travel north to Costa Maya to explore the ancient Mayan ruins of Chacchoben. Appreciate the 600-mile-long Mesoamerican reef one more time in Cozumel by adventuring into Chankanaab, an eco-park with underwater caverns home to dolphins, manatees and sea turtles. Set sail from Barbados to a hiking opportunity on Bequia’s Mount Pleasant, then on past the UNESCO Pitons of St. Lucia. Swim Guadeloupe’s sparkling blue waters and appreciate the view from Brimstone Hill Fortress National Park in St. Kitts, search for celebrities in St. Bart’s and swim in the underground pools of Virgin Gorda. Take in Puerto Rico’s El Morro, visit the Dominican’s Isla Catalina, and see Santo Domingo, one of the oldest cities in the Caribbean. 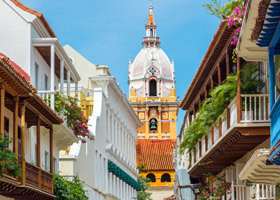 Revel in the romantic Colombian city of Santa Marta and enjoy a late night departure in Cartagena to witness the walls that once repelled pirates and now exclude cars. 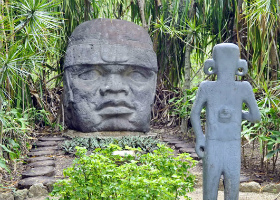 Visit Kuna Indians in their San Blas Island village and behold engineering feats of the Panama Canal. Discover white sand beaches, amazing flora, fauna and some of the world’s best big game fishing in Panama’s Pearl Islands and Isla Parida. Known for its biodiversity, Costa Rica brings a chance to explore Golfo Dulce’s lush rainforest in search of monkeys and toucans, Bahia Drake’s adventures of zip-lining and horseback riding, Quepos’ famous Manuel Antonio National Park, Bahia Herradura’s excellent fishing and surfing at Jaco Beach, and Puerto Caldera’s access to Monteverde Cloudforest and Tortuguero National Park. From mesmerizing steel-drum bands to unforgettable spicy chicken smoked and grilled in recycled oil drums, this 18-day tropical adventure offers extraordinary experiences in Costa Rica, Panama, Columbia and the Caribbean. 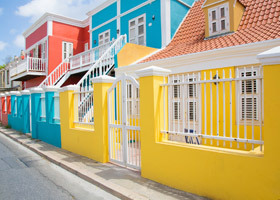 Wander among Willemstad’s colorful, gabled store façades and narrow streets. 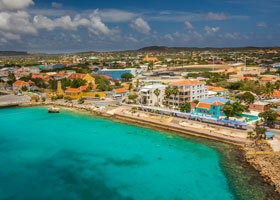 Snorkel or SCUBA amid Bonaire National Park’s dizzying and colorful schools of fish. Sample endless variations of St. Maarten’s mouthwatering marinated ribs. Take in the entire Panama Canal during a narrated daylight transit. Depending on which direction you travel, this exceptional cruise can add a land tour to either conclude or begin your adventure among fragrant rare orchids concealed in the leafy shade of 300-year-old trees in Costa Rica’s Monteverde Cloudforest. 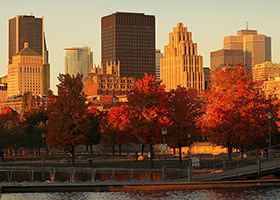 Begin your 30-day, 3,000+-mile journey from Canada to the Caribbean in Montreal, the creative capital of Canada. 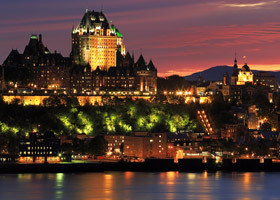 An overnight in Quebec City allows time in one of North America’s oldest and most beautiful cities. Explore Gaspé’s wilderness area and Charlottetown’s waterside boardwalks. Transit the Canso Canal to Halifax with its 200-year-old fishing village. Bar Harbor brings the beauty of Acadia National Park and Provincetown is the proud home to the Mayflower landing. Watch for wildlife in Cape Cod Canal before sailing into Newport, the host city of America’s Cup. New York City is next with its 5 famous boroughs and iconic attractions. Overnight in Philadelphia and visit Charleston’s celebrated City Market. Then it’s off to the Caribbean for Bimini’s beaches (Hemingway’s favorite escape), Samana’s untamed Los Haitises National Park, San Juan’s Spanish El Morro fortress and Vieques’ 20+ beaches. Discover Roseau’s bubbly waters of Champagne Beach and Morne Trios Pitons National Park. 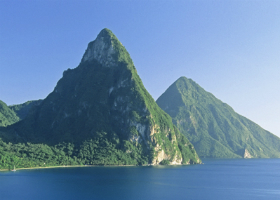 Take in St. Lucia’s majestic volcanoes, and the “Isle of Spice” in the gorgeous city of St. George’s. End your magical adventure in Bridgetown’s Harrison’s Cave. Delve into shady cloudforests, scenic waterfalls, and little-known tropical beaches on both coastlines of Central America before cruising to the best Caribbean sights and destinations during this 28-day cruise throughout Costa Rica, Panama, Columbia, and the Caribbean islands. Scrutinize treetops for reclusive squirrel monkeys in Manuel Antonio National Park near Quepos, Costa Rica. Swim among dolphins, sea turtles, and countless tropical fish off the shores of Panama’s Isla Parida. Cruise past historic landmarks and commercial watercraft during a guided daylight transit of the Panama Canal. Stroll the dark corridors beneath the formidable walls of Castillo San Felipe de Barajas in Cartagena, Columbia. 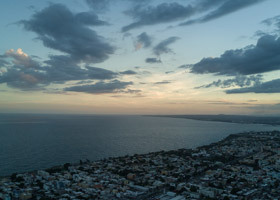 Your memorable journey culminates in San Juan, Puerto Rico where you can wander among the reinforced, angular walls of Castillo San Cristóbal, a fortress that encircled San Juan two centuries ago, or slurp on spicy asopao, the Puerto Rican version of gumbo, on a sunny restaurant patio. Your journey begins in a Bridgetown, a city with Jolly Ole England flavor and two UNESCO sites before an opportunity to swim with sea turtles in Tobago Cays Marine Park. Save your appetite for the exclusive Signature Beach Party on Mayreau and feel the heart and soul of St. Lucia in Soufriere as you wander the vendor-filled streets. Savor a day at sea before bird watching for flamingos and parrots in Bonaire. Delight in the pastel colors of UNESCO site Old Town Willemstad and explore the limestone formations and petroglyphs of Hato Caves. 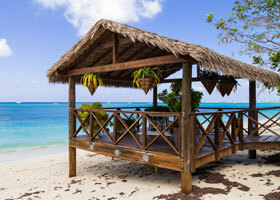 In Aruba, laze on some of the Caribbean’s best beaches or interact with the locals while they play dominos. Romantic Santa Marta boasts coastal mountain beauty and museums full of pre-Colombian gold and jewelry while the 400-year-old walls of Cartagena invite reflections on conquistadors and plundering pirates. Relax at sea en route to the multicultural, multicolored town of Bocas del Toro, Panama where Columbus visited in 1502. 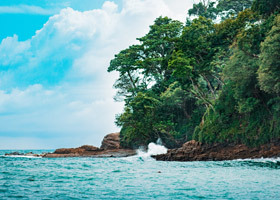 Hop over to Costa Rica’s Puerto Moin to access amazing national parks, pristine beaches, and surf before a partial transit of the Panama Canal on Gatun Lake. Once in Colón, head to the jungle to meet Embera Indians or take an aerial tram ride through the rainforest canopy. Cruise through the Greater Antilles discovering magical places that fell off the map and tiny gems that were never on it in the first place. Skip the crowds of Montego Bay and Ocho Rios and head instead for the silver screen beauty of Port Antonio, “discovered” by Errol Flynn and then long forgotten. 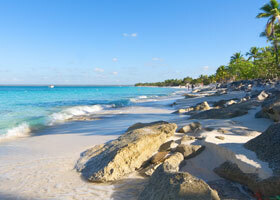 Enjoy the retro-Caribbean vibe of Grand Cayman and the undersea wonderland of Isla Catalina. Sink into the sand on perfect white beaches, dive to pirate shipwrecks, swim beneath waterfalls wrapped in jungle and fall in love with a Caribbean you didn’t know still existed. Those who love watersports, snorkeling and diving will be on Cloud 9 on this cruise through the Windward and ABC islands. Swim with vibrant fish and friendly sea turtles as you visit ports in Tobago Cays Marine Park, in Bonaire National Marine Park, and in the proposed Speyside Marine Protected Area. Paddleboard right from the Watersports Platform as we visit smaller ports and less-visited bays away from the crowds. 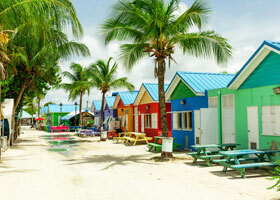 And when you’ve had your fill of ocean action (if you ever do), head to shore and explore colorful Dutch colonial harbors, sugar-white beaches and mouthwatering island cuisines.